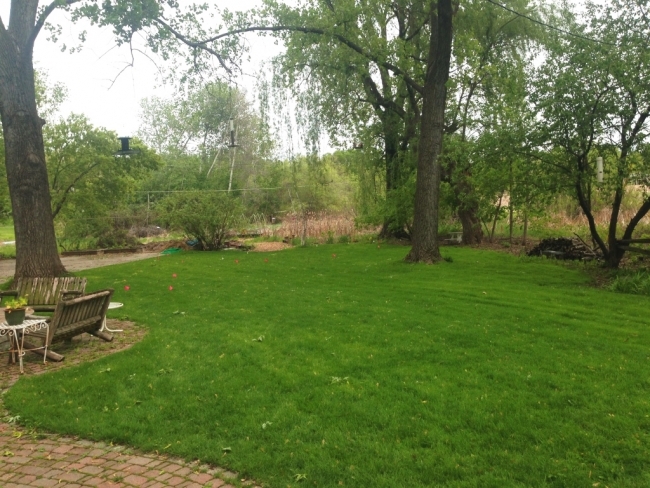 This was a problem-solving project: half of the wetland-adjacent lawn was often flooded, turf grass was unsightly and not appropriate for the site in rainy years. 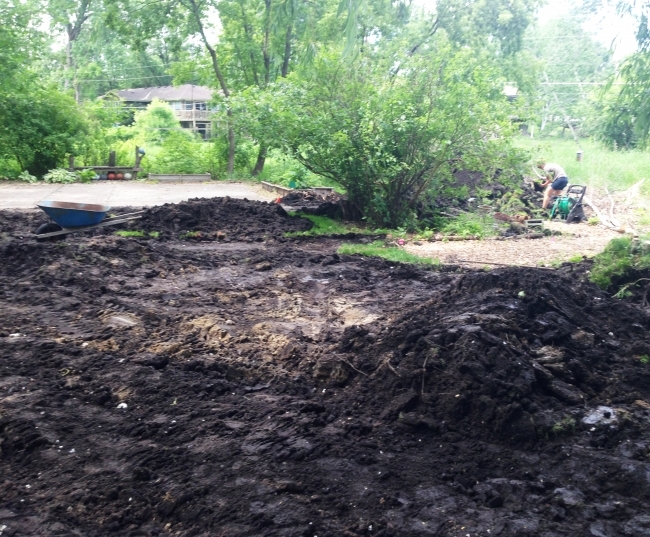 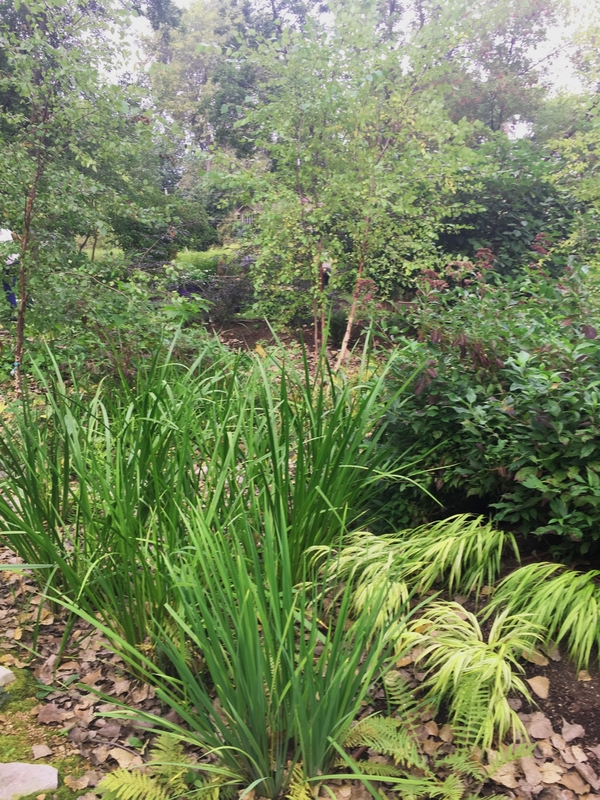 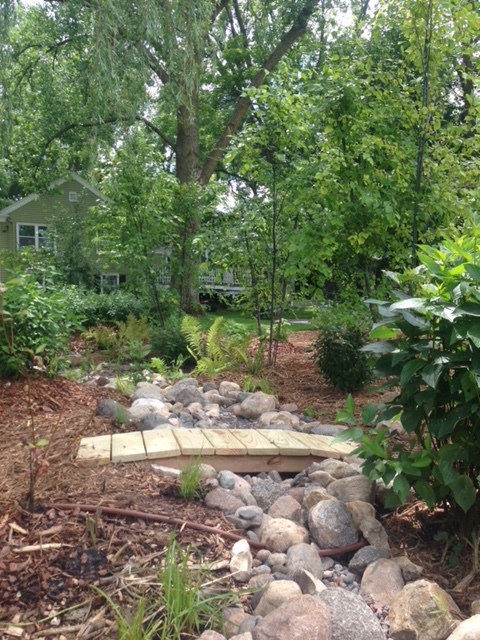 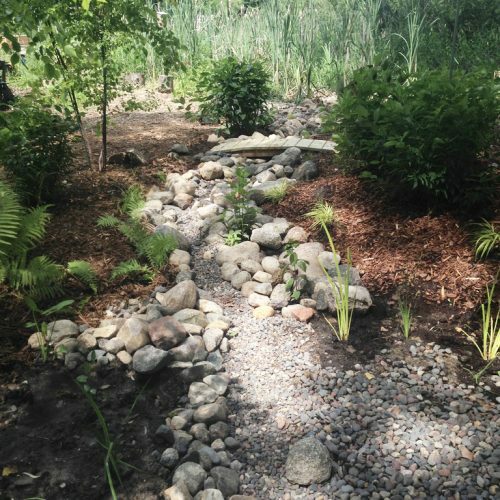 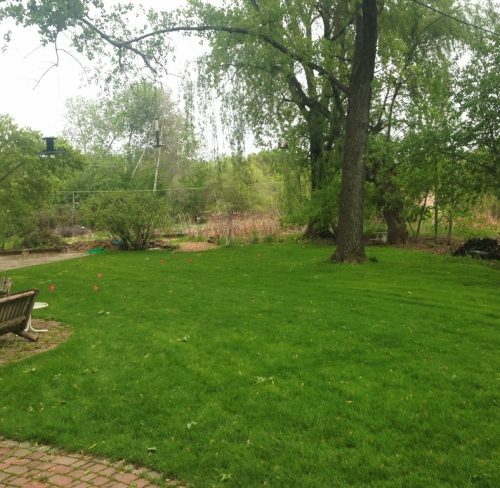 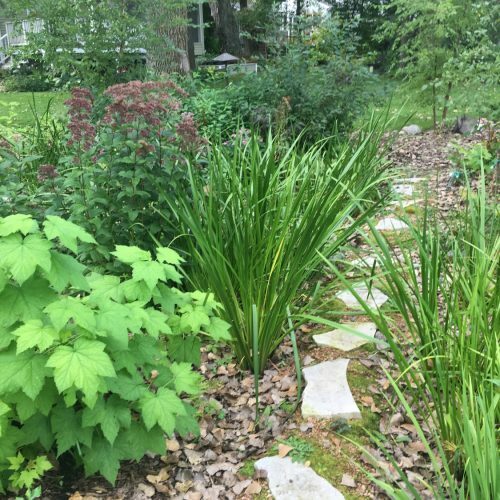 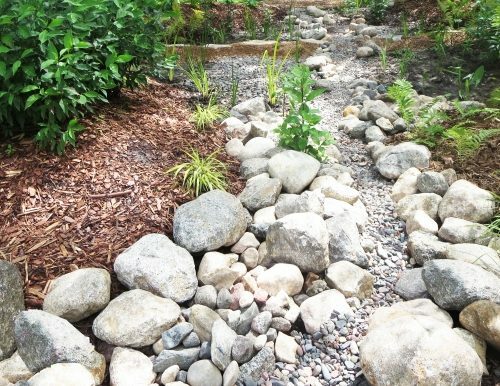 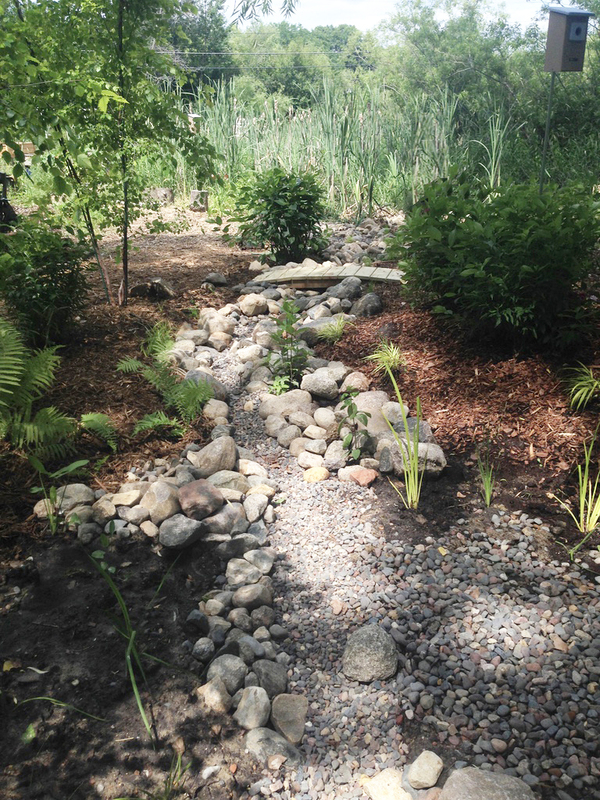 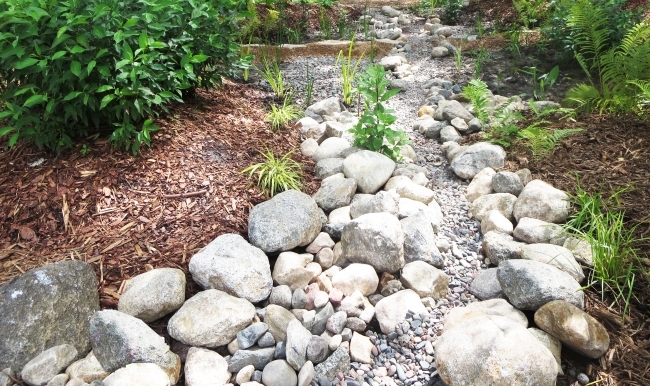 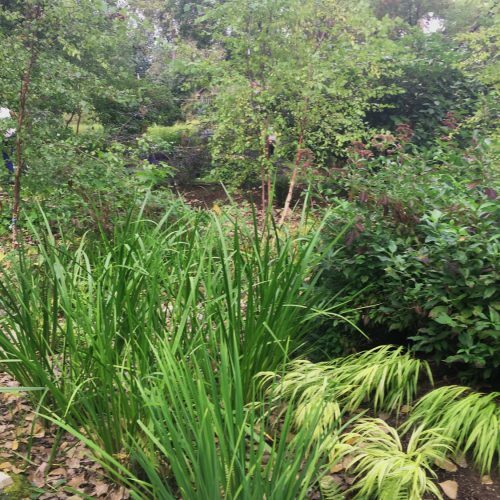 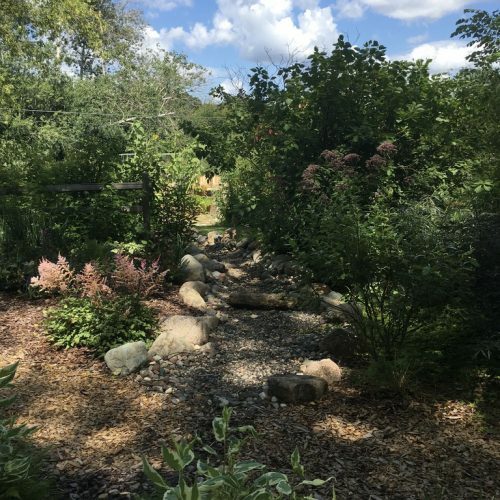 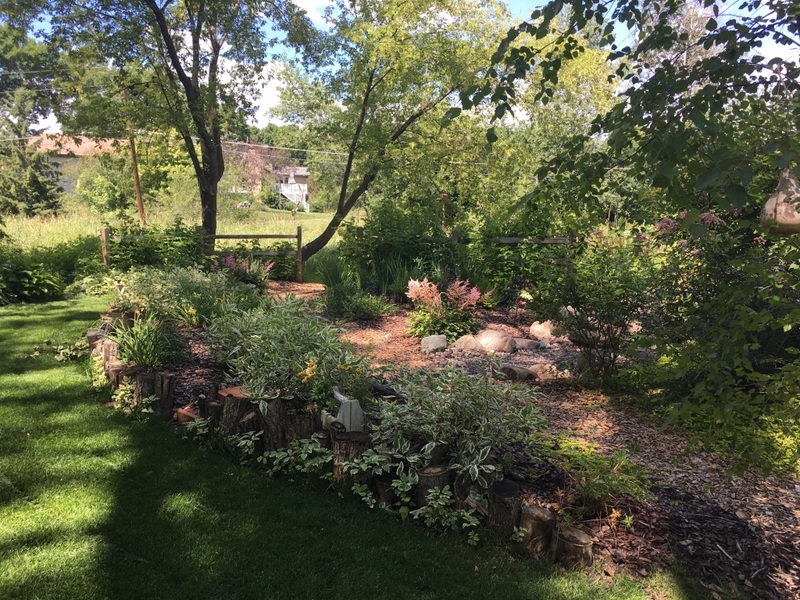 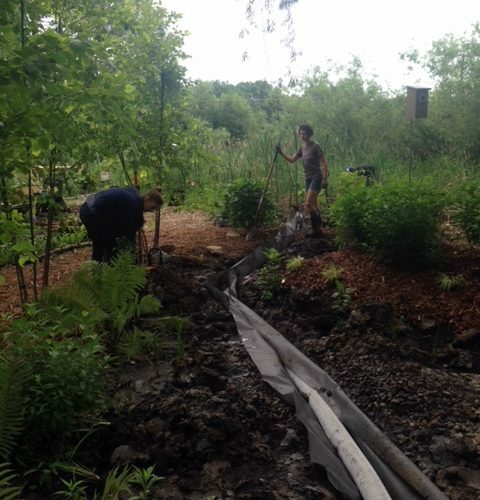 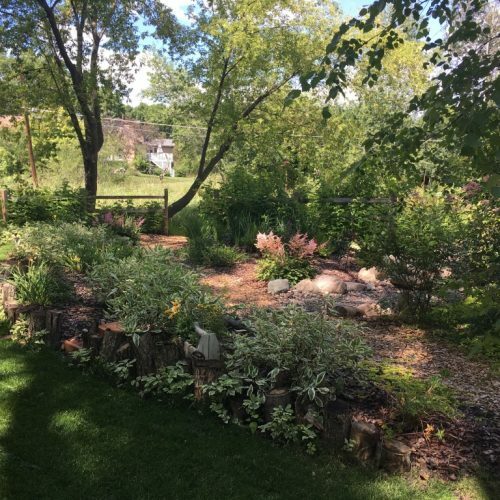 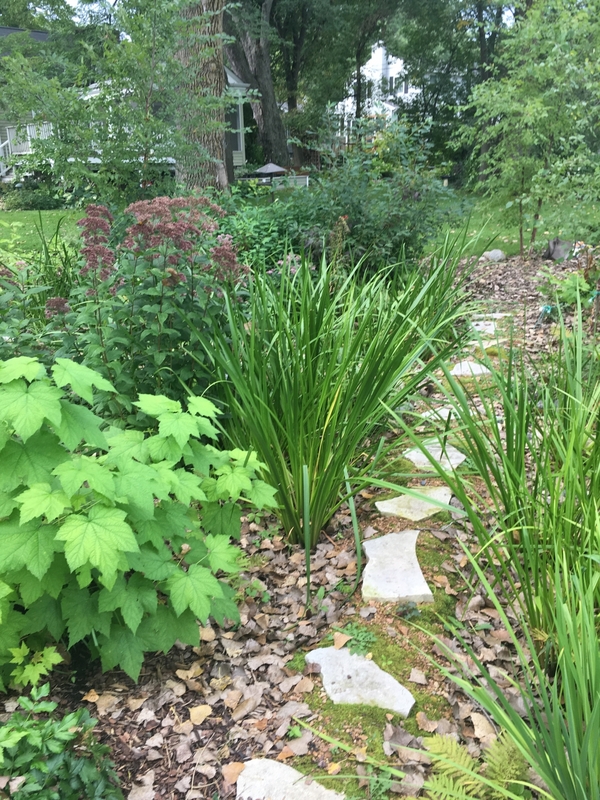 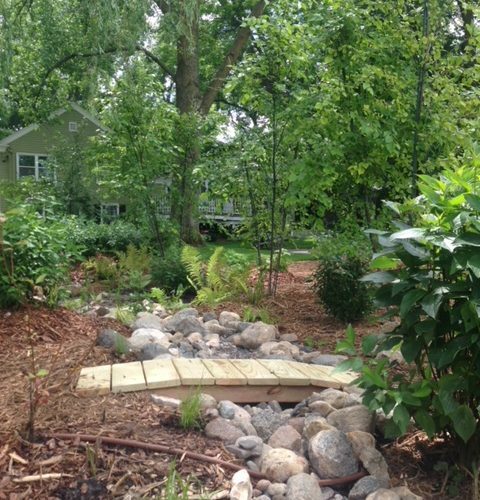 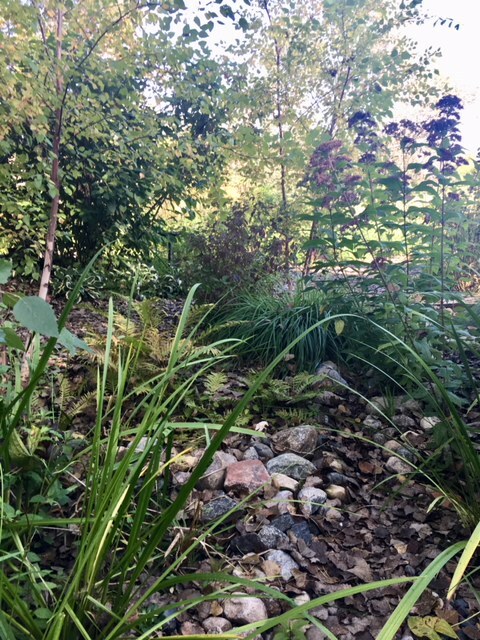 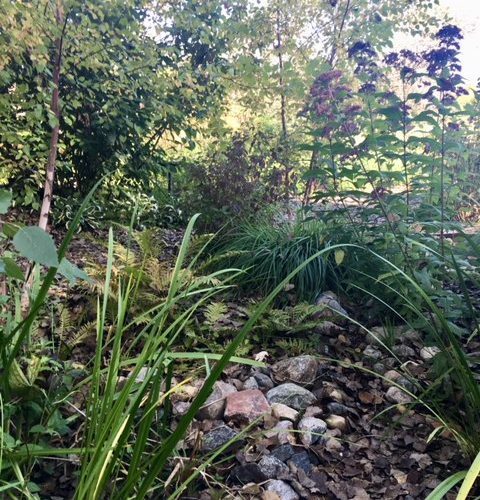 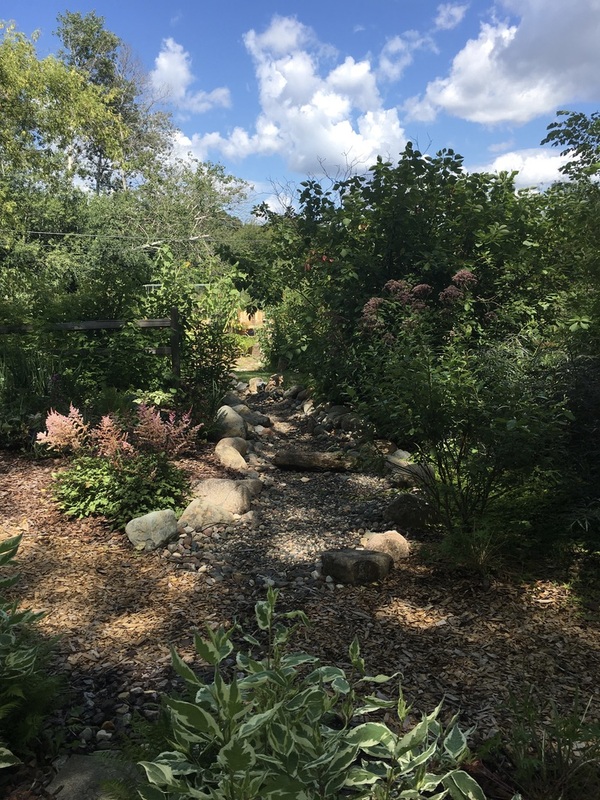 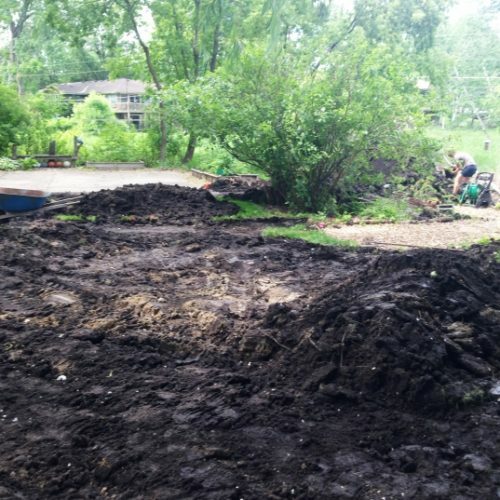 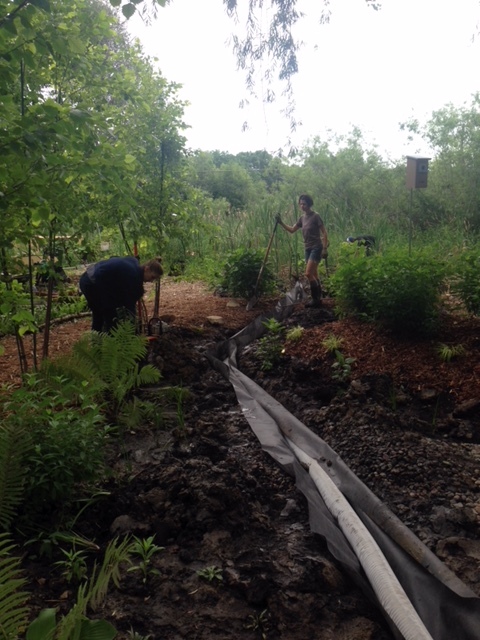 We reclaimed the lawn and created a beautiful buffer zone between a more traditional lawn and the wetland by re-grading the area into beds and a dry creek all planted with suitable Minnesota native plants. 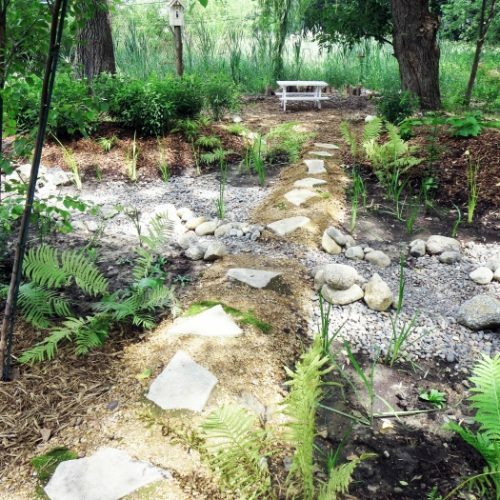 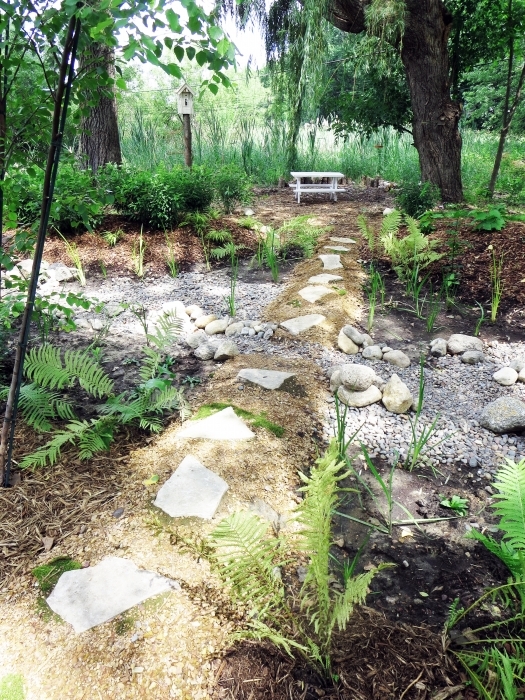 The native planting material will provide habitat and a food source for birds and pollinators, and we also made sure to create lovely pathways and sitting spots for our clients to observe the flora and fauna.